It’s that time again! 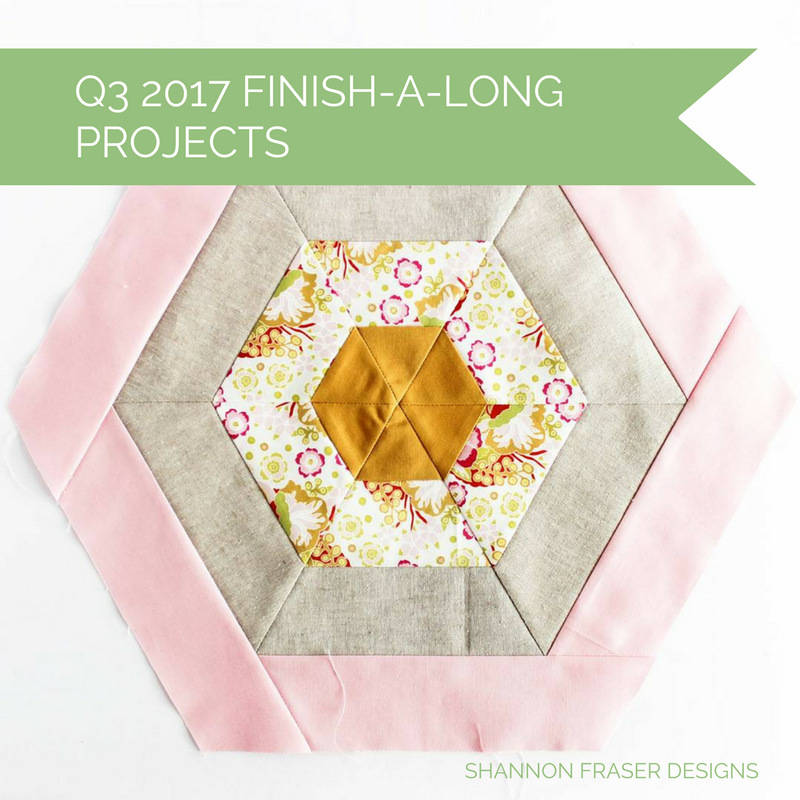 Time to share my progress on my Q2 Finish-A-Long projects and set new goals for the third quarter!! This time around, I don’t feel like time has sped by. I’m feeling pretty good about this quarter’s accomplishments, even though I still haven’t knocked everything off my list. Here’s how I netted out. 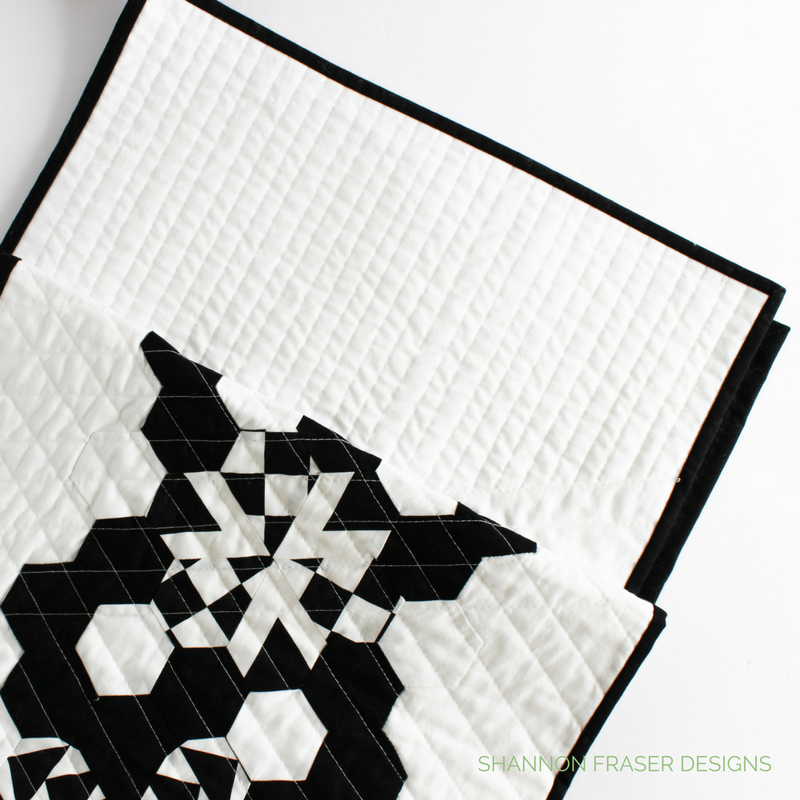 The first project I finished was the black and white hexies table runner! 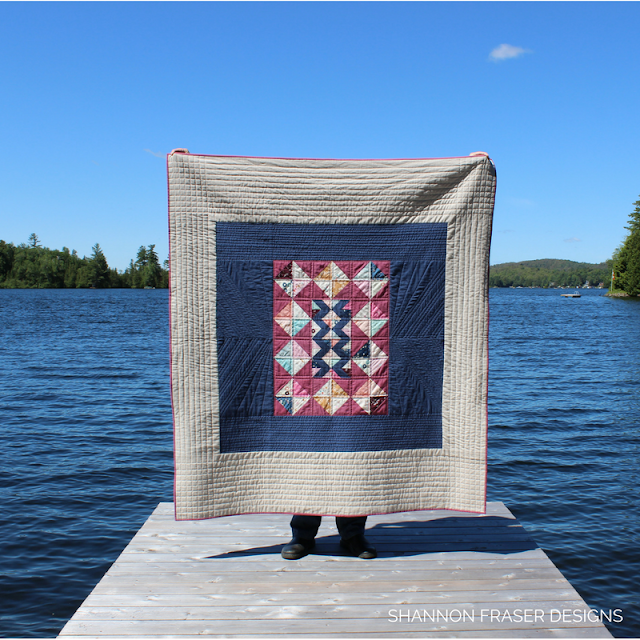 This project was initially due last summer for the Riley Blake Designs challenge. Clearly, I missed the boat on that one. But, at least I still persevered through ALL that needle turn appliqué, which really isn’t my favourite! There is definitely something to be said for keeping at a project even when you’re not feeling that step. 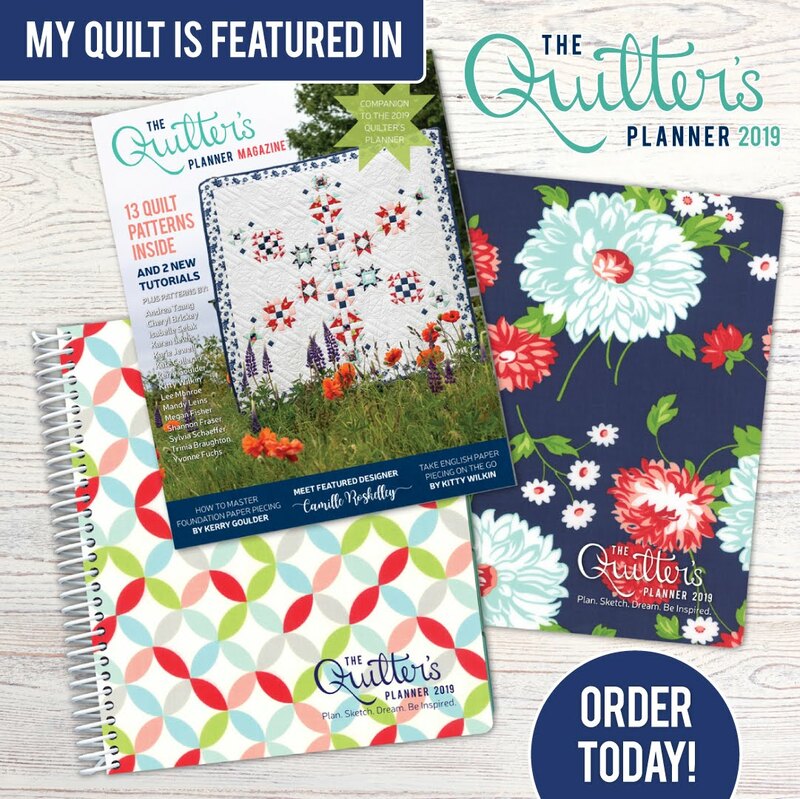 Once I got over that hurdle, the quilting and binding was easy peasy. So, in the end, I’m left with positive vibes for this project. Yay for that! Here’s a quick shot, but I’m hoping to get some better photos and will share a full post on this project at a later date. Remember this little center panel? Fun, right?! Well, I actually finished her off in April, but haven’t been able to get a good full-on shot. One, because I finished binding her up and literally gifted it the next day. So, photo time was short. Since then, I’ve been trying to take some in the wild shots up by the lake, but every single time I’ve tried, my attempts have been foiled by either a serious case of black fly season (worst ever) or unexpected downpours (starts off all sunny and just as I’m about to exit – here comes the storm)! What I can say about this beauty is that she feels AMAZING! The mix of Playground fabrics from Art Gallery Fabrics, the Kaffe Fasset shot cottons and the Essex Linen in Flax all add their own textural feel. 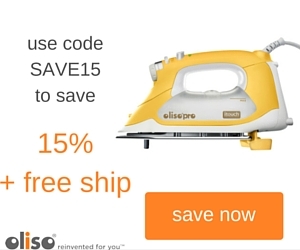 Both the prints and shot cottons are beyond soft and lightweight. 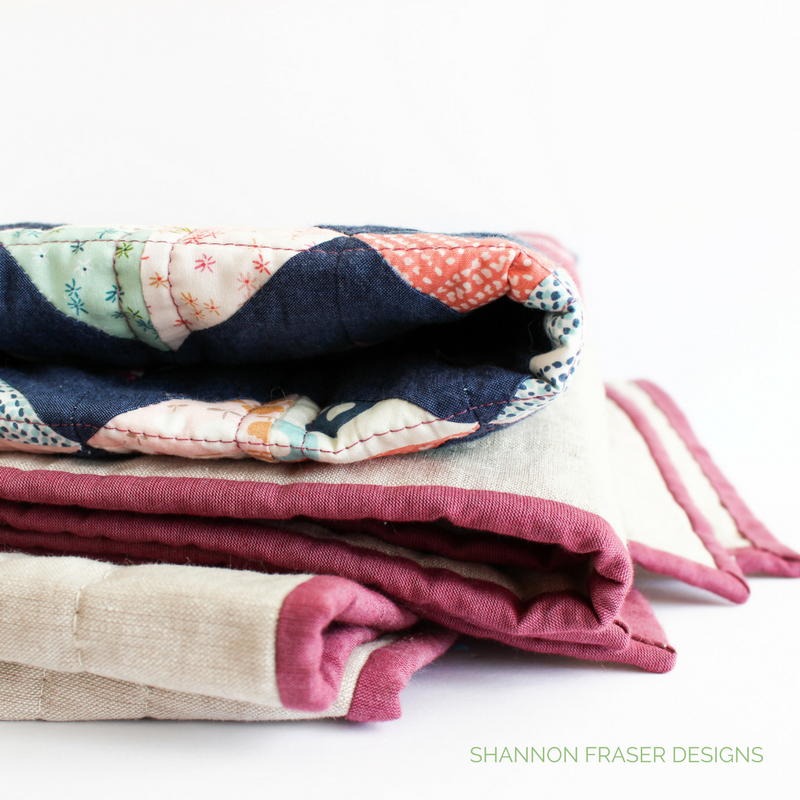 While the Essex Linen adds beautiful weight and a little more of a textural feel to the quilt. Another project that was inspired by scraps from my Playtime quilt – love that!! I had a couple of secret projects on my list that I couldn’t share many details about. But now I can!! 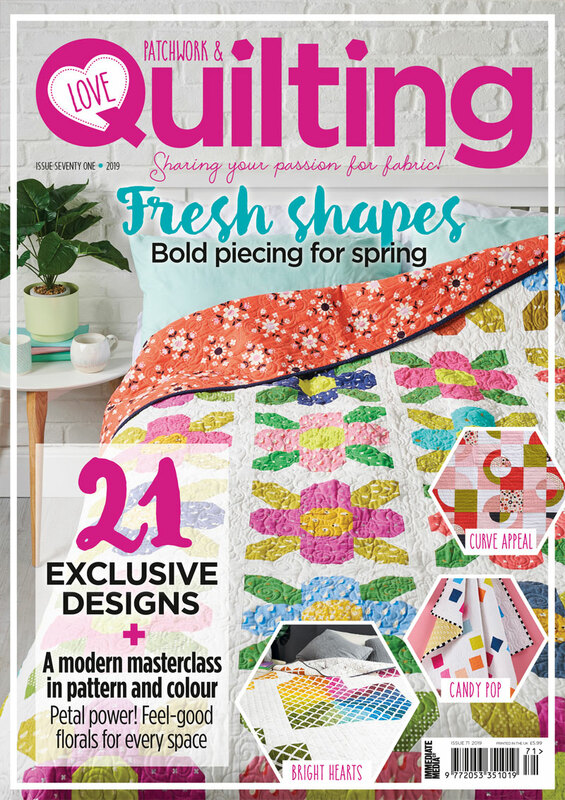 First up is my Spring is in the Air quilt that I designed featuring Tamara Kate’s latest fabric collection for Michael Miller Fabrics called Frolic. 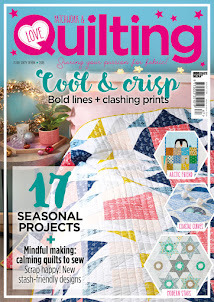 You can read all about that quilt here. And find the pattern for this beauty here. 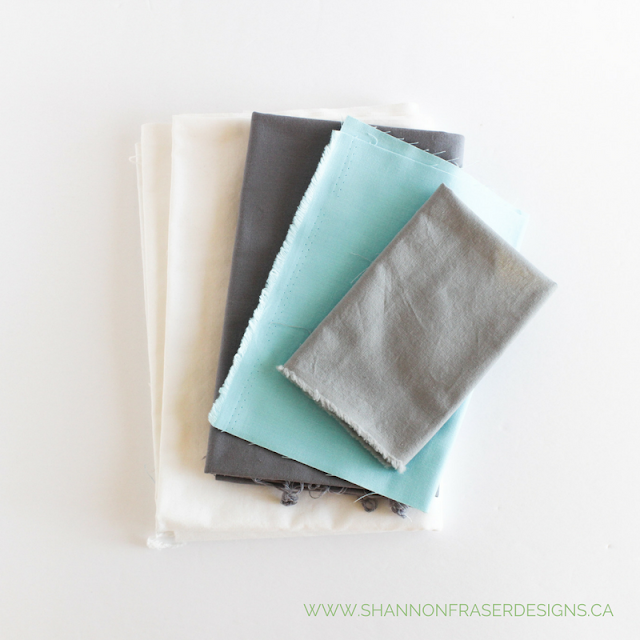 Fabric scraps once again inspired my second secret project! 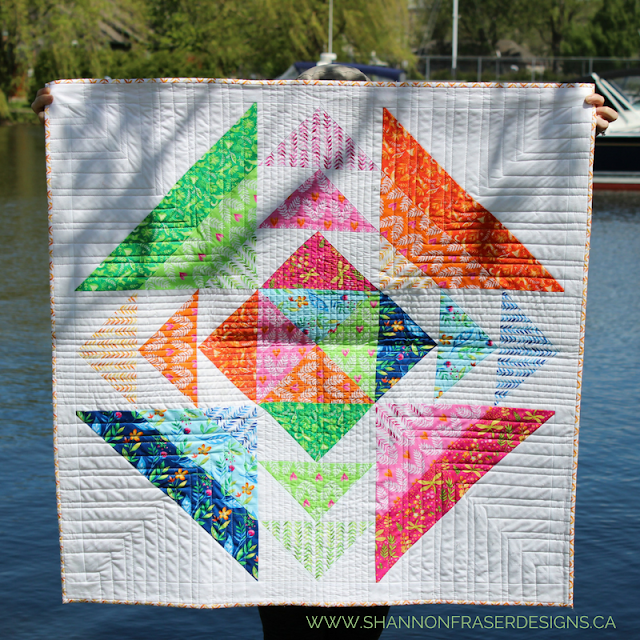 This time, I had a bunch of triangles left over from the flying geese featured in the Spring is in the Air quilt that I couldn’t resist playing with. 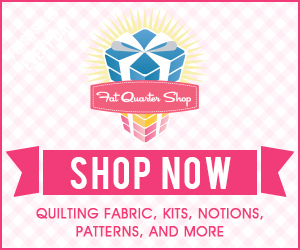 And that led to the creation of my Rainbow Plus mini quilt! I love these bonus projects you get from scraps 😊 You can read more about this cutie here. 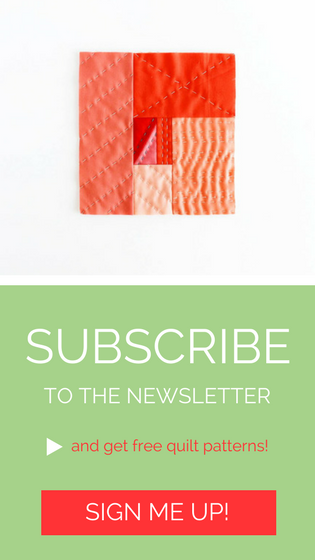 And due to popular request, I’m working on the pattern for you too! 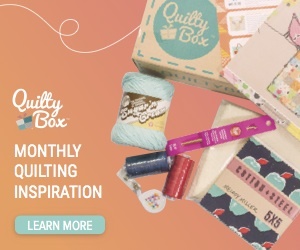 UPDATE - you can now get the Plus Infinity Mini Quilt Pattern here. 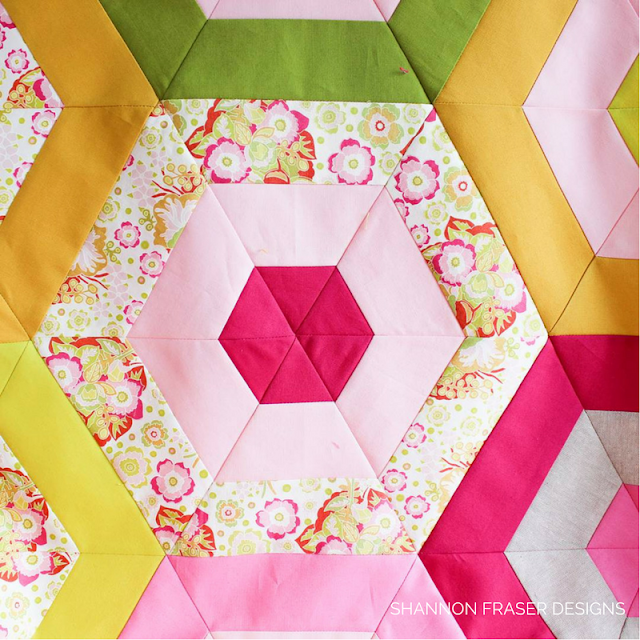 I’ve made some progress on my Pink Lemonade quilt. But, this one is a leisurely project that I am savouring every stitch. So, this one only gets worked on when I’m in need of some quiet contemplative stitching. I love how it is coming along and look forward to hitting the binding stage. It might be this quarter or next. Either one is fine by me. 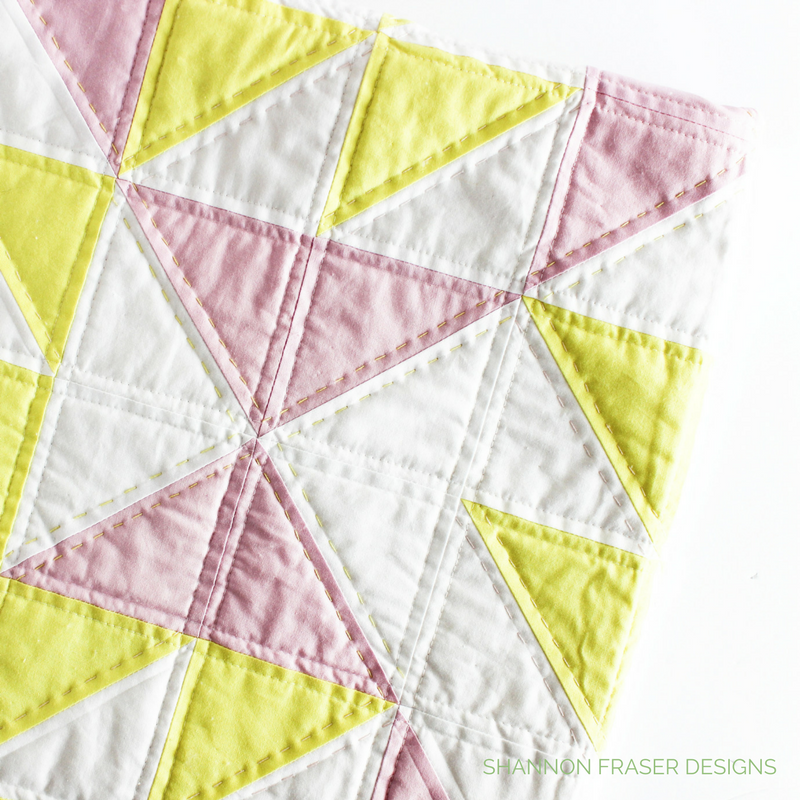 UPDATE - you can now find the Pink Lemonade quilt pattern here. I am seriously straggling on my Molinari challenge. I’ve still got the exact same amount of thread burying left to tackle as last time I checked in! I haven’t touched it at all this quarter. Hopefully that changes this time around, so I can clear the decks and focus on some new projects. The last project I had included on my Q2 list was a new quilt featuring my Medallion Squared paper piecing pattern. Things changed on my end, and so, I’m not sure whether I plan on continuing with this one or not. I’m playing this one by ear. All in all, I got 4 of my 7 projects completed, which ain’t too shabby! 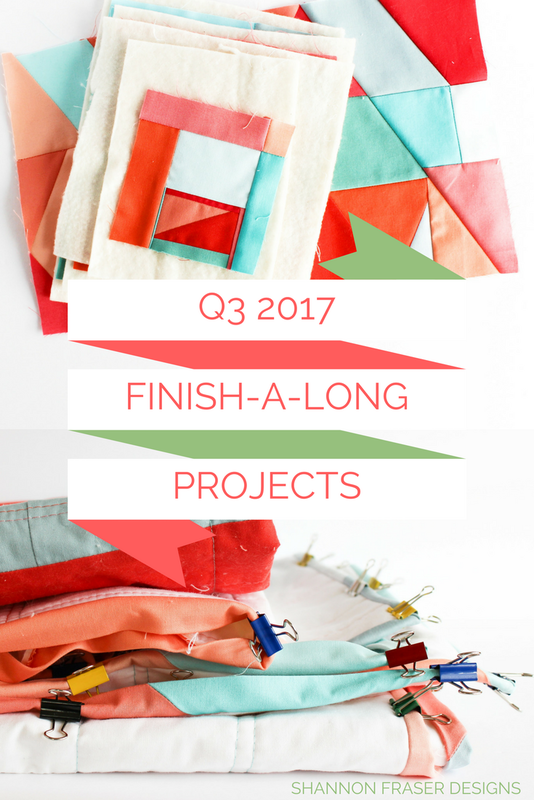 In addition to the 3 projects I'm carrying forward from last quarter, I’ve got a few new projects to add to my list!! 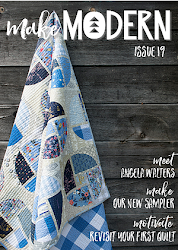 First up is my 100-days of modern improv quilting projects, which I’m hoping to wrap up in the next month of so. 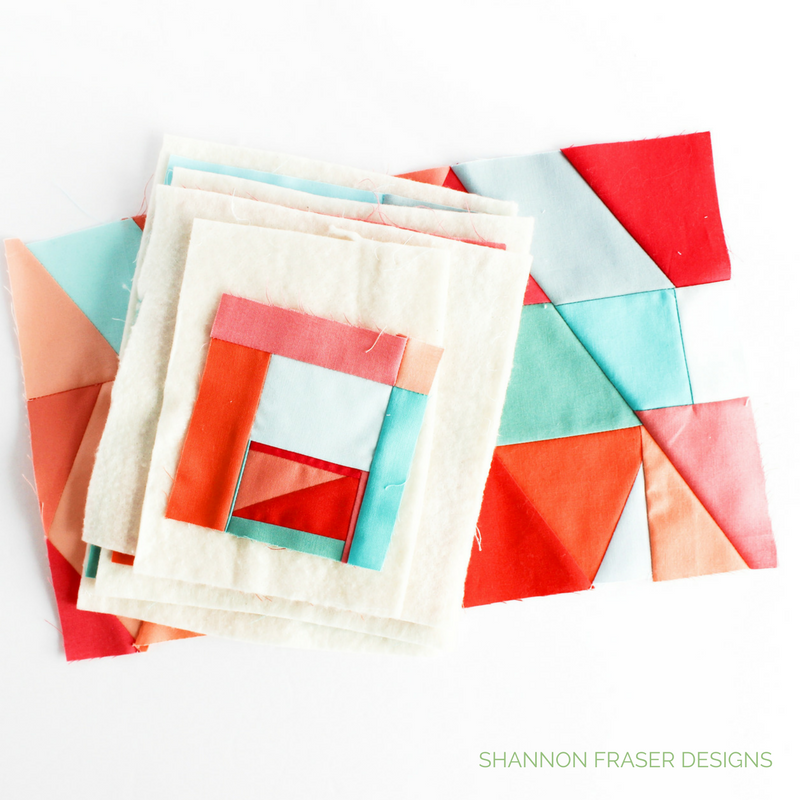 I’ve also got a small stack of improv orphan blocks that I plan on hand stitching and framing. One of my favourite things to do is test quilt patterns. 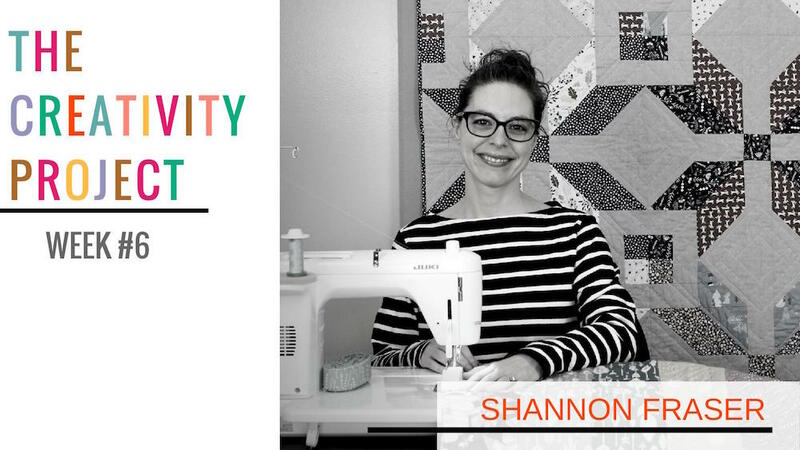 Although I would have never thought this of myself, I actually really dig quilt math! Sometimes it makes my head hurt 😉 but, generally speaking, I enjoy sitting down and figuring out whether everything adds up. 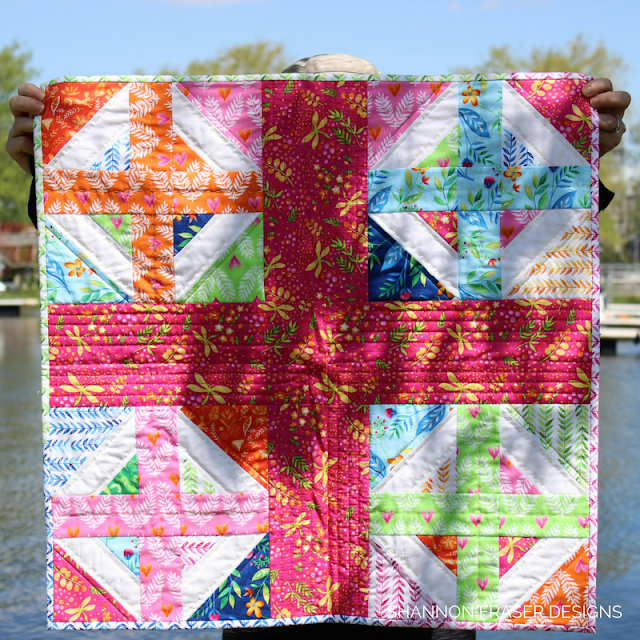 This Hexie Stripe quilt designed by Suzy Quilts is a stunner! 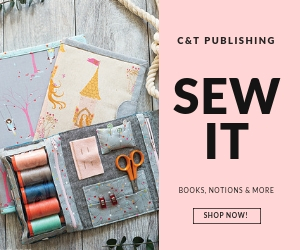 I adore the fabrics I chose – they just make me happy 😊 The quilt top is all stitched together, I just need to stop deliberating which backing I want to use and get on with it. My initial plan was to use Essex Linen in Flax as the backing. It’s still my go-to, so, I think I just need to accept that and get her basted. 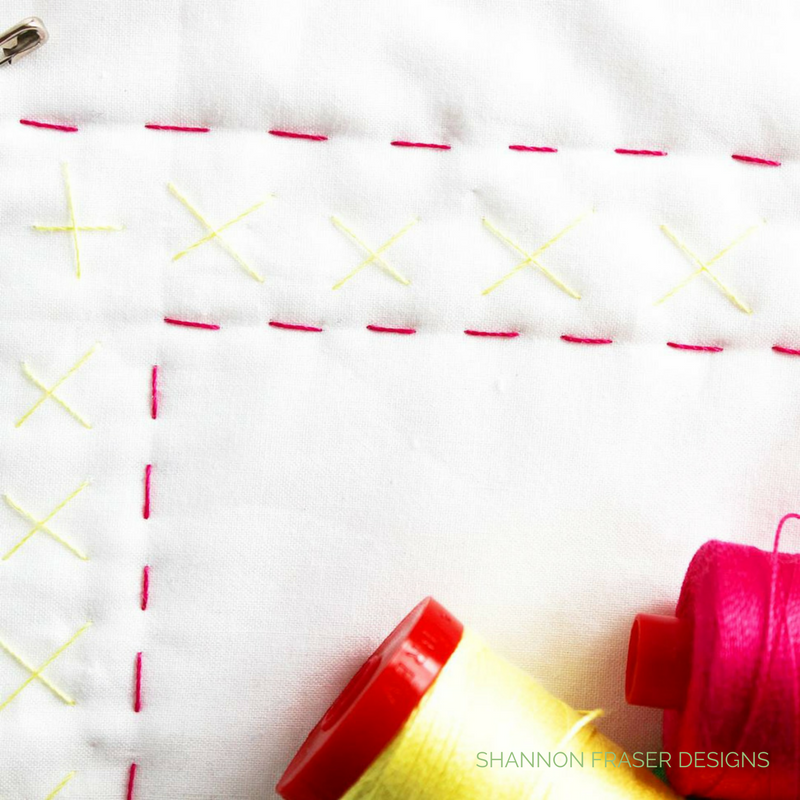 I’ve already got my binding stitched and ready, so, it should be a quick finish once I decide! 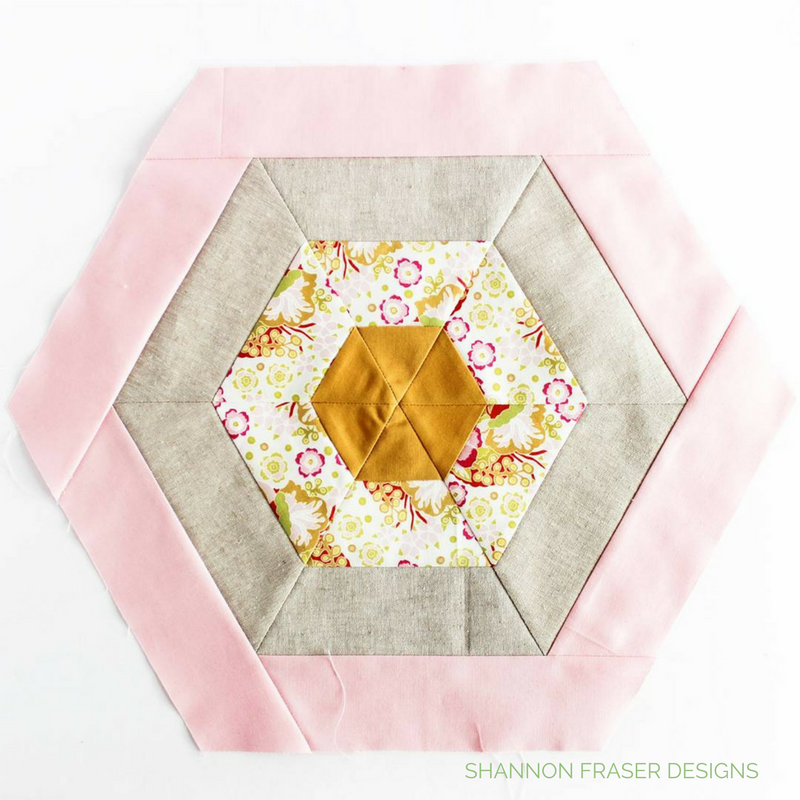 I had an extra hexie block from my Hexie Stripe quilt and I decided to play a little with it. At this point, I think I’ll turn it into a pillow. 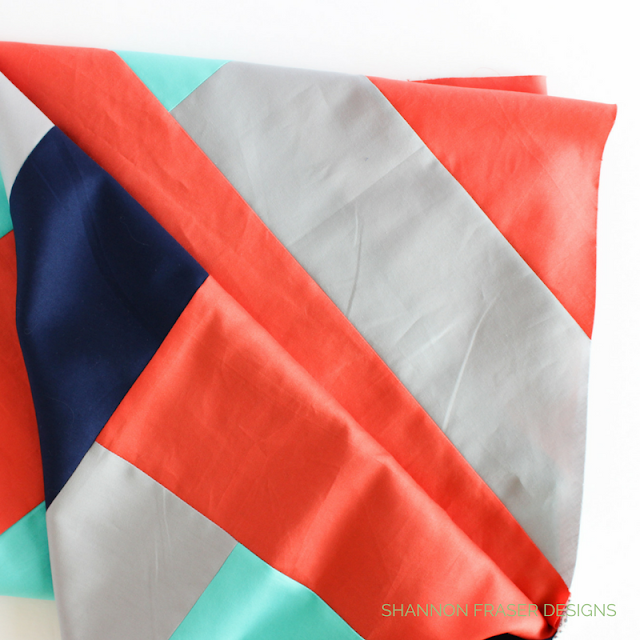 I was super flattered and excited when I was approached by RJR Fabrics to participate in their What Shade Are You series. 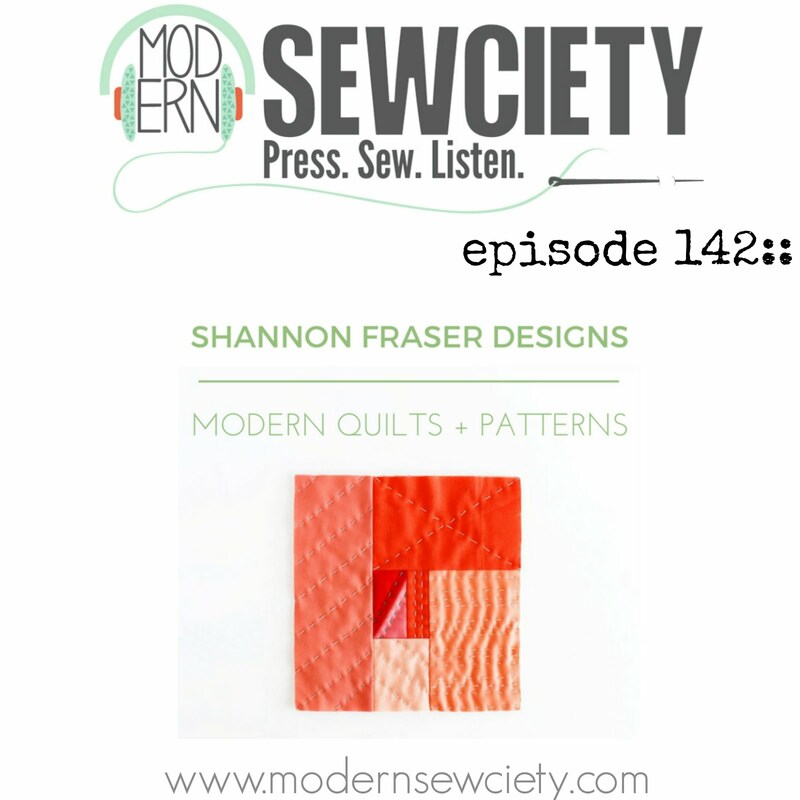 I’ve got a couple of quilt designs and colourways that I’m trying to decide on. 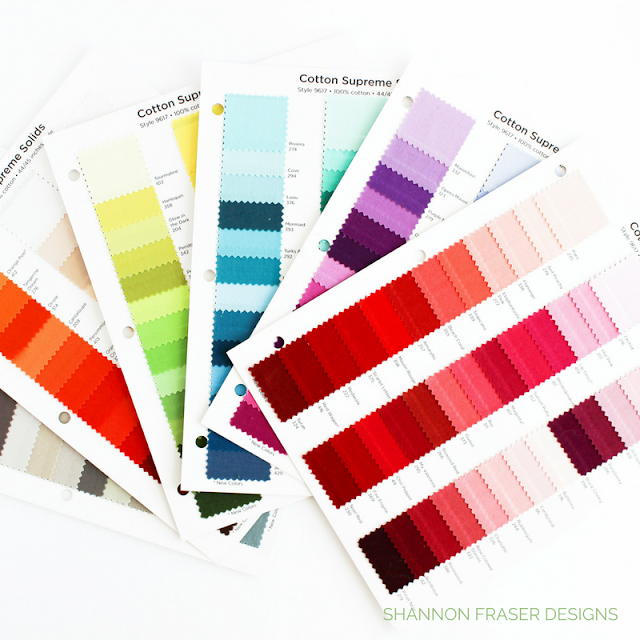 Just look at all these fabulous colours and I think you will understand my dilemma! 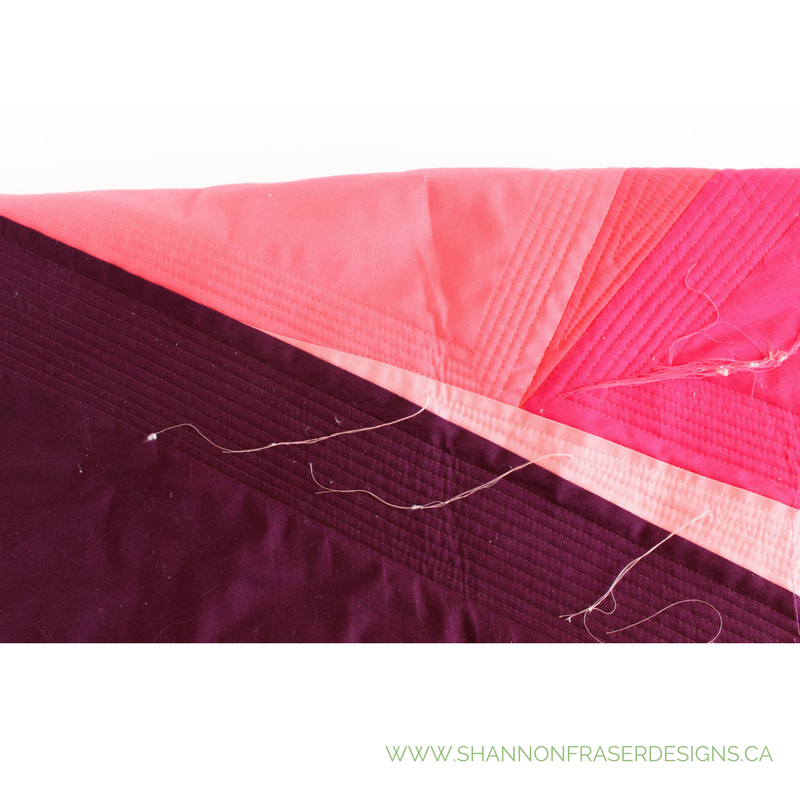 While I was working on my Spring is in the Air and Rainbow Plus quilt projects, I started playing with some of the scraps and created a hand quilted pillow cover. The top is all finished, I just need to make the backing and pull it all together. 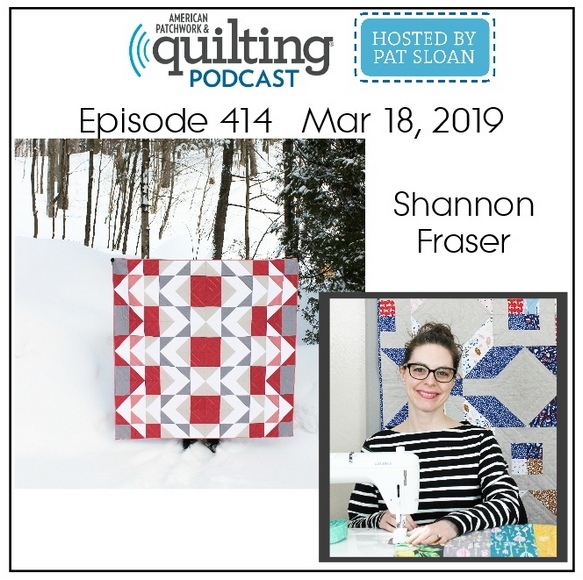 During this quarter, I should see my Sewcial Bee Sampler, hosted by Sharon Holland and Maureen Cracknell, come to an end. This has been such a fun project! 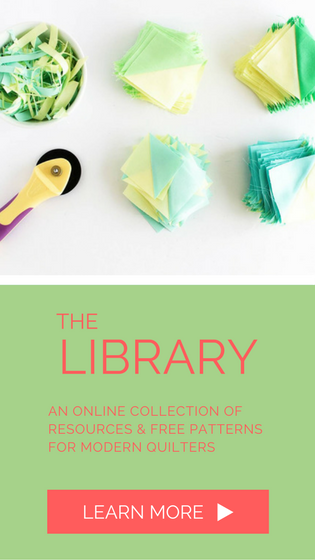 I’ve loved the community aspect of this sew-along and the encouragement everyone has been showing one another. Such a joy to witness! 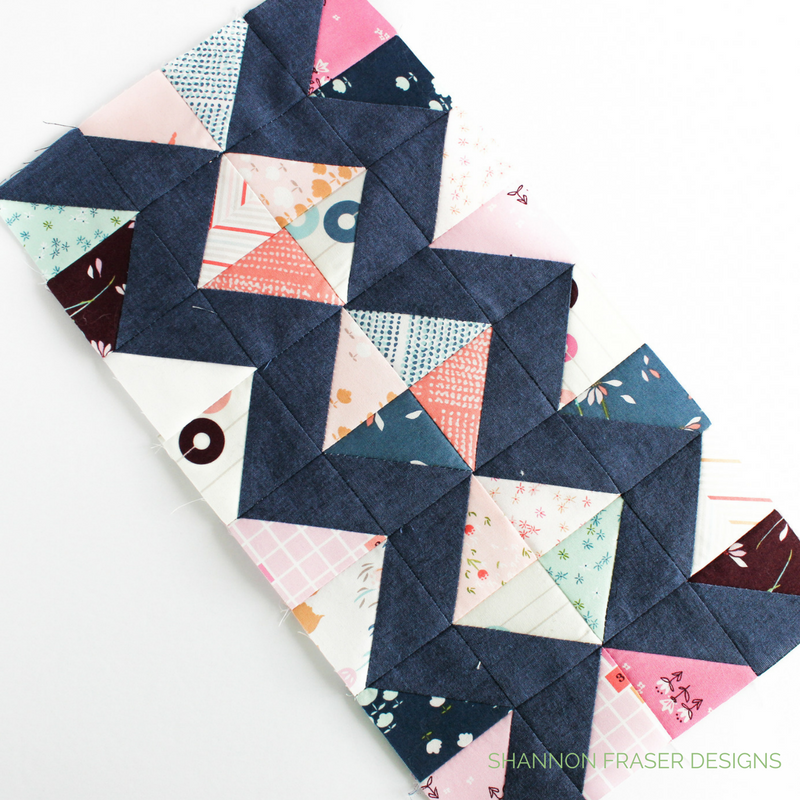 I’m particularly excited to see how this one pulls together, as I’ve really loved making each block. You can see my progress for row 1, row 2 and row 3. Row 4 and 5 are still in the works! You can follow along by checking out my #sewcialbeesamplersfDesigns hashtag on Instagram. I’ve got a busy quarter ahead of me!! 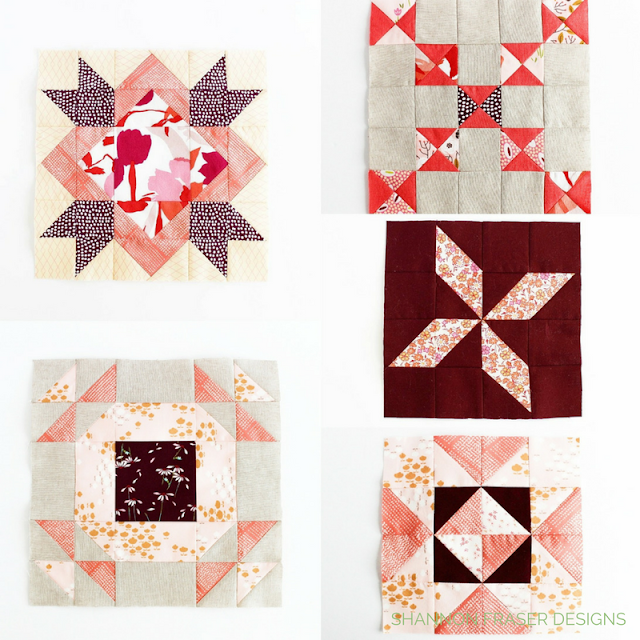 I’ll be linking up over on Izzy of Dizzy Quilts’ blog and hope you stop by and check out everyone else’s projects and progress!! 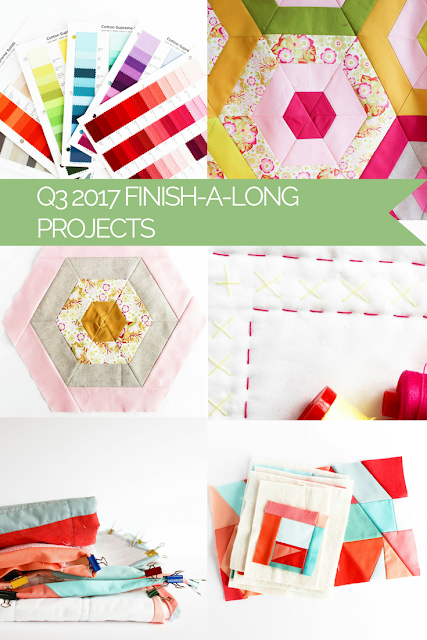 I love all your finishes but that quilt with your Playground fabric scraps is absolutely stunning! Have fun with your Q3 projects. :-) On behalf of the global FAL hosts, thank you for playing along with us this quarter. Thank you, Izzy! I have a soft spot for my Spring Lilacs quilt too! 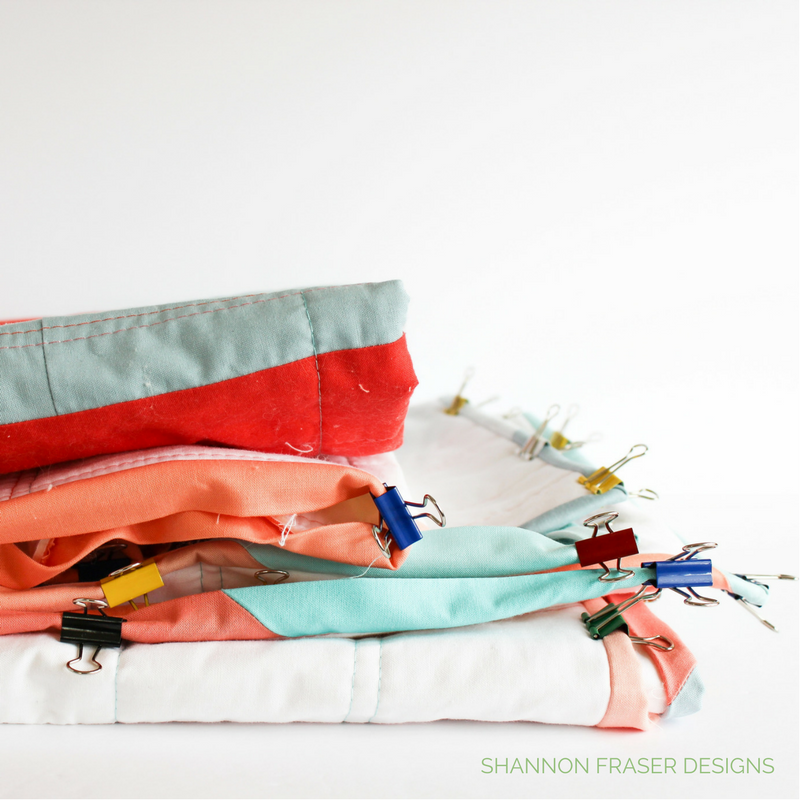 Always fun to see what you can create just being inspired by fabric scraps! !